Seminar was organized by APO COEGP CPC TAIWAN and BISMAN FINTECH P LTD on Green Technologies in the field of Waste recycling. Presentations were given in the area of Recycling of waste using Green technologies. 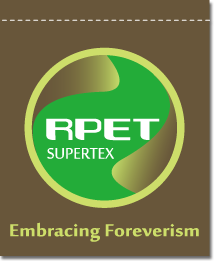 Mr. Alex Yu Lo of Super textile corporation informed that their company makes T shirts and Uniforms from the fabric manufactured recycling PET waste which are being used by sportsman. Many world cup football teams have used this fabrics in their uniform. Prof. Ma explained the audience that you can recover precious metals worth US$20000 from the recycling of cell phone waste of 1 MT worth US$5000 using innovative technologies developed by Taiwan. 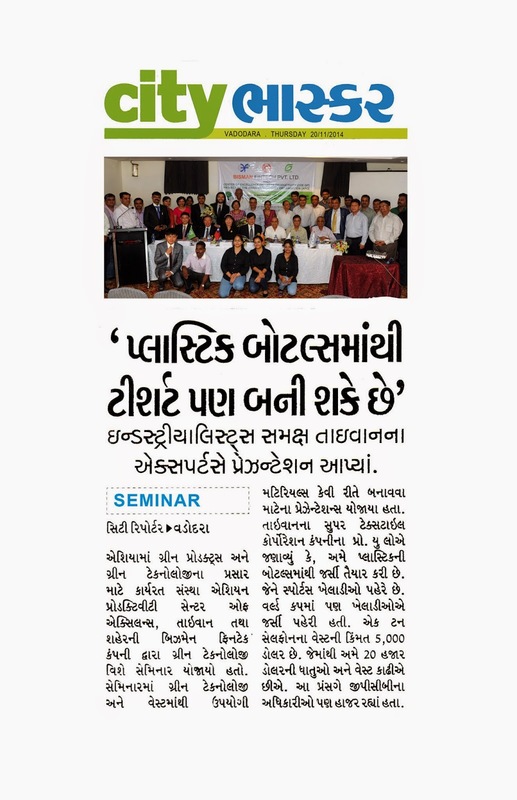 Senior officers of Gujarat Pollution control Board were also present in this seminar.